Long ago (and on into today), explorers and anthropologists sought to capture images of the disappearing worlds they found. 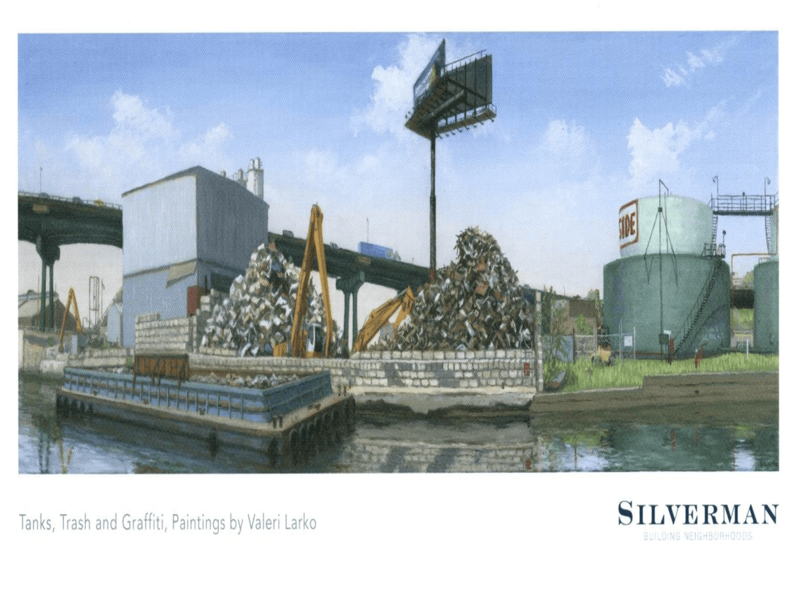 Similarly, Artist Valeri Larko memorializes (on canvas) the ruins and structures of the everyday disappearing urban/industrial landscapes around her. 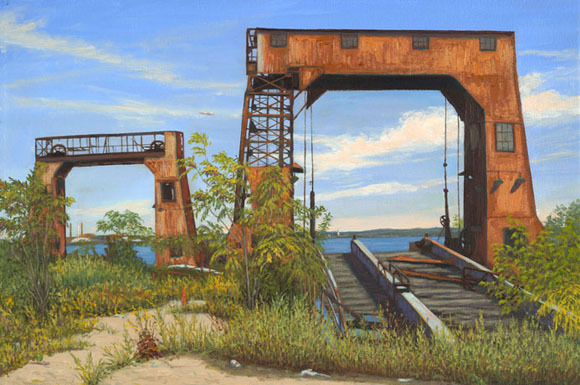 Her bio records that she is “best known for her densely painted landscapes of the urban fringe…” Larko’s subjects include among others, old rusting dumpsters, the abandoned gas station, an obsolete oil terminal, and a discarded snowblower (see www.valerilarko.com). From November 1st until February 22, 2013, Larko’s unique work will be on display at the Majestic Theatre Condominiums at 222 Montgomery Street in Jersey City. Her exhibit is called Tanks, Trash, and Graffiti and it’s well worth a trip to see it. This entry was posted in Aesthetics, Art, Waste. Bookmark the permalink.